Hey everyone! It's almost October and you know what that means...Halloween! So what a better way to continue to showcase these beautiful shades from The Little Lacquer Bean, created by the amazing Kristine from Pink & Polished. 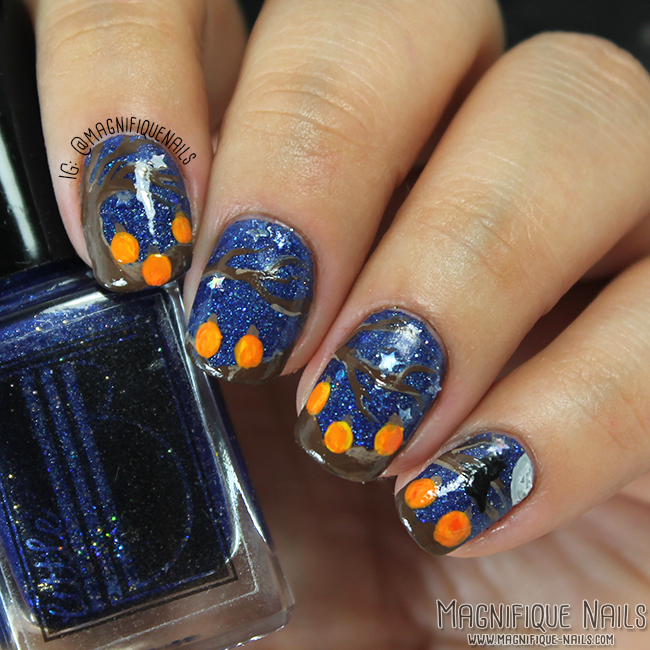 For today's post, I have some swatches and nail art for you from their "If You dare..". Collection. Not only do they shimmer, it even glows in the dark! 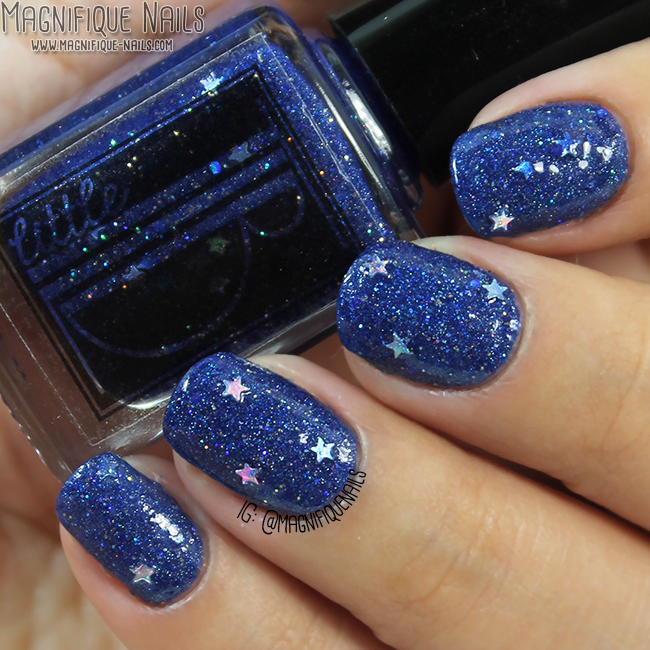 Spooky Night- is a gorgeous navy blue jelly with scattered halo and navy blue, sliver and holographic glitter and small holo stars. One of my top favorite shades on this collection. The application on this polish was normal. I had no issues with the brush, and the formula was very nice (even with all of the glitters). On the first coat was definitely, but for more coverage you will need to apply more than one coat. This is three coats, sealed with top coat. It even glows blue! 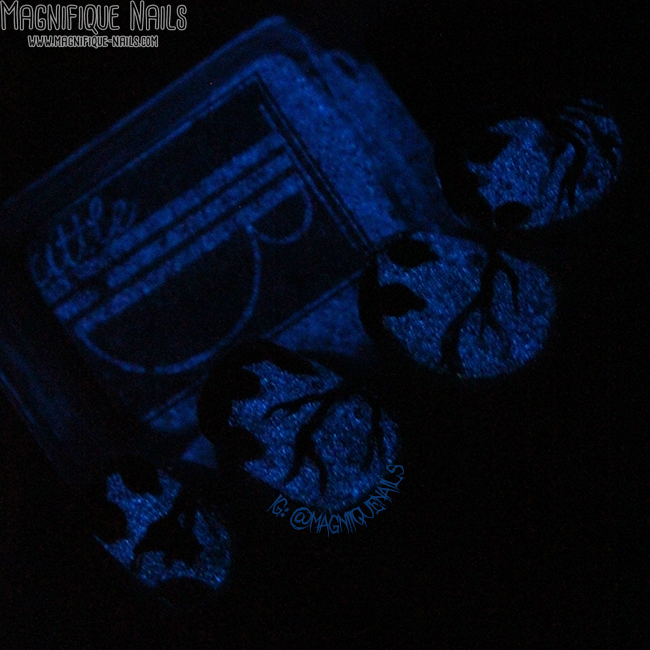 Like many glow in the dark polishes, you will need to charge the nails under a light (or with a black light bulb will do). It was a little difficult to capture the "glow" on photo. However, you may want to keep it under the light a little longer, and the blue definitely stands out. The glow does last after while, not as dark in the beginning, but I couldn't stop looking at my finger at night hehe. Radioactive Slime- aahh I love this color and look how it shimmers! 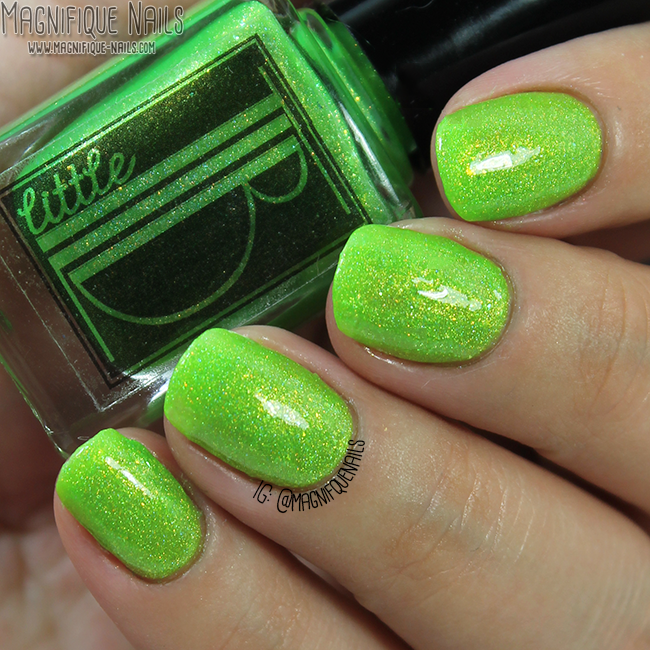 This is a gorgeous lime green jelly polish, with scattered holo and golden shimmers, throughout the polish. The formula on this polish was very good and it was super easy to apply. On the first coat was definitely, but for more coverage you will need to apply more than one coat alone or one over a any polish. This is three coats, sealed with top coat. It even glows bright green! 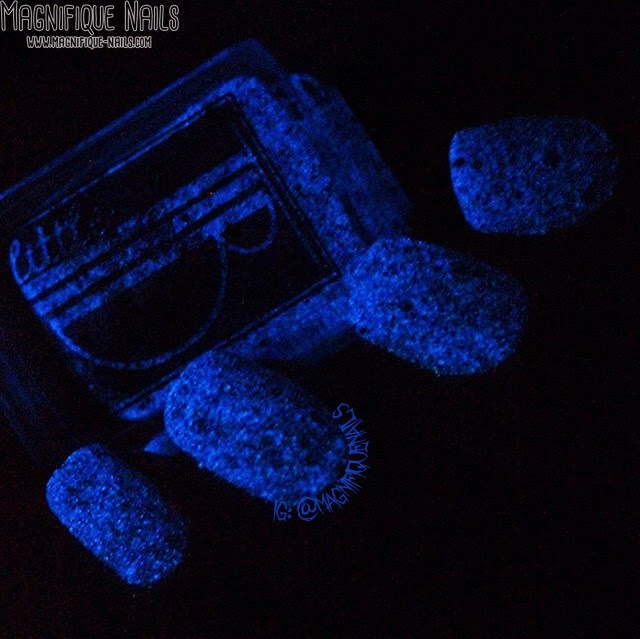 Like many glow in the dark polishes, you will need to charge the nails under a light (or with a black light bulb will do). This one was definitely not difficult to capture on photo. It was very very bright, the glow last for almost all night without fading. I will definitely be wearing this for Halloween! 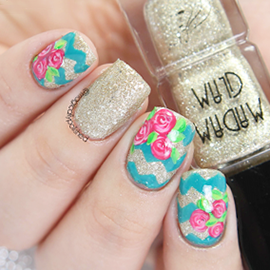 For this design, I thought fitting to do a dripping nail art design. I used black nail polish for the drip and white polish for the highlights. I really loved how these look glowing the dark! Overall the polishes are both beautiful, including the three components: the colors, holographic shimmers and glowing the dark. Perfect shades for Halloween! The set will be release for tomorrow (Friday, October 3rd) at 5pm EST. 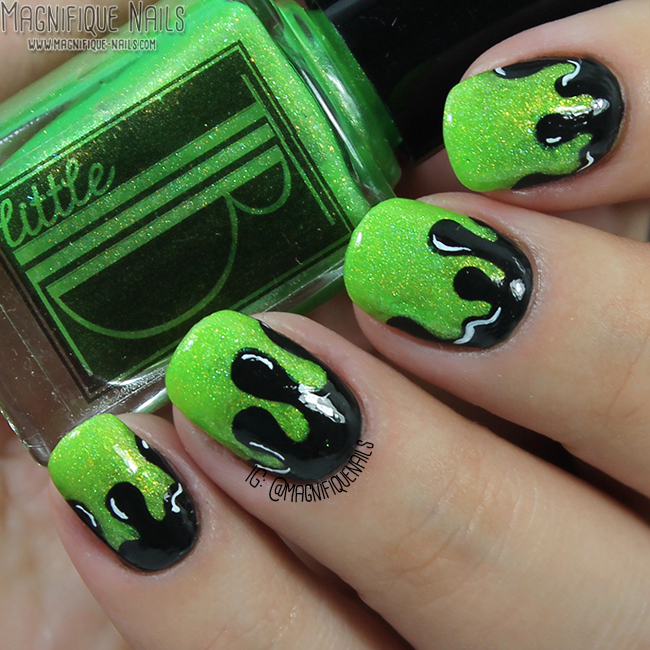 You can purchase them here on their site: Spooky Night and Radioactive Slime for $7.50. Follow their socials for more updates and pictures: Website: The Little Lacquer Bean Instagram: The Little Lacquer Bean **Products were provided for honest review. Please see disclosure policy for more information. ** Hope all of you enjoyed my post today! What do you guys think? Let me know in the comments below!